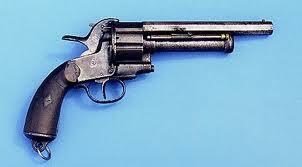 The revolver which Lt. Col. Alfred George Washington O’Brien pointed at Sergeant Timothy Chase’s nose was a curious one. The LeMat,first made in New Orleans in 1856, had two barrels: the upper one was a smoothbore normally reserved for a .36 or .42 caliber ball, and the one below it was a 20-gauge shotgun. Hence the popular Southern weapon’s apt nickname: The “grapeshot revolver.” O’Brien’s was a late-model .44 caliber one. Cabela’s sells a nine shot, rifled .44 caliber working reproduction. And there are several videos of loading and firing the weapon here. This entry was posted in Col. Alfred G.W. 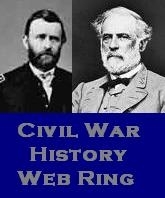 O'Brien, Fort Sanders, Thirteenth Mississippi, Twenty-Ninth Massachusetts and tagged American Civil War, Cabela's, Knoxville 1863, LeMat revovler. Bookmark the permalink.